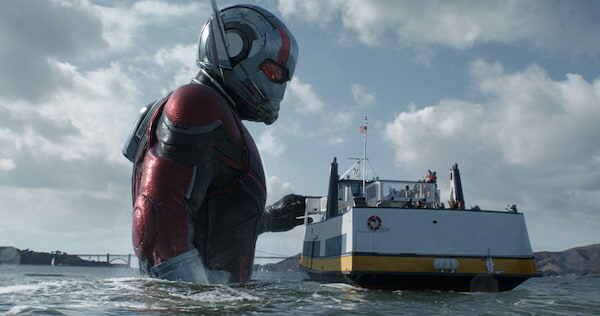 "Ant-Man and The Wasp" Connects Directly with "Avengers 4"
“Of course, the one thing the audience knows is that Scott Lang is in a prison underwater somewhere, but there’s the hint that Captain America busts them out,” explains Reed. “And presumably he takes the Ant-Man/Giant-Man suit with him. But that’s really all we know. So one of the big challenges was that for the little amount of time that Scott Lang is in `Captain America: Civil War,’ we had to take in account what that meant for these characters going forward. “One of the things to bear in mind about `Ant-Man and The Wasp’ is that it is set post Sokovia Accords,” adds Reed. “So just as Hope is about to come into her own as a hero, she’s got to figure out what it means to be a hero in the world of the Sokovia Accords. With Hank, I think it’s fair to say that at the beginning of the movie Hank is not very happy with Scott Lang for having taken the Ant-Man suit and exposed that technology to the Avengers. “It’s Hank’s worst nightmare. He’s looking for someone who’s going to be a faithful steward of this technology whom he can trust and who understands how powerful this technology is. And then Scott gets roped into this Avengers in-fighting and winds up in prison, and the suit is confiscated. Hank may be having second thoughts about whether Scott is up to the challenge of being Ant-Man. Scott’s actions in “Civil War” have real ramifications on the characters in this movie,” says Reed. For his participation in epic airport brawl in “Captain America: Civil War,” Scott was thrown in jail, but was later liberated by Captain America. “Avengers: Infinity War” elaborates about this when Captain America explains that Scott took a plea deal and is living under house arrest. Gallivanting around the world as a super-outlaw and spy would have taken too much of a toll on his family, so he elected to hang up his costume. But did he? 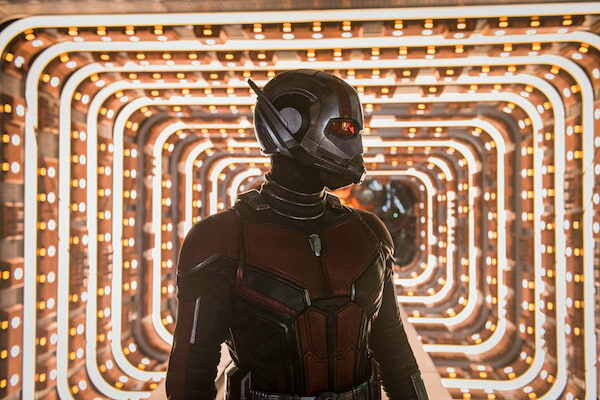 Fans will find out together when they watch the fun-filled “Ant-Man and The Wasp” now in Philippine cinemas nationwide. Join the conversation online and use the hashtags #AntmanAndTheWasp and #MarvelP. 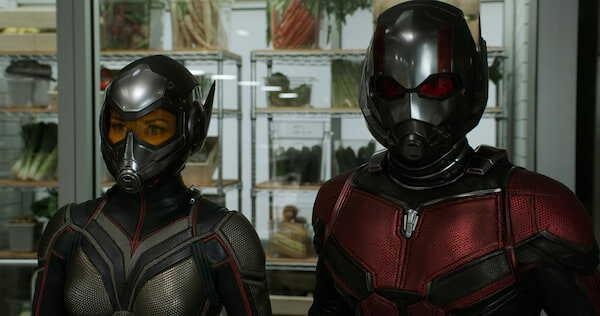 Bringing the Costumes to Life on "Ant-Man and The Wasp"